Sellers R.V. Center is a family owned and operated R.V. dealership. 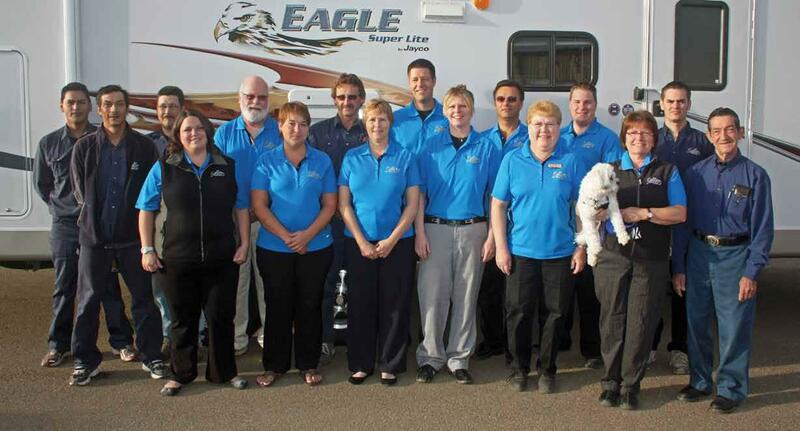 We specialize in towable R.V.’s, parts and service to our existing and future customers. Rod and Pat Sellers along with Rod’s father Jim Sellers and friend Frank Tuplin opened the doors to Sellers R.V. Center over 40 years ago. Since that time the dealership has been a proud supporter of the community and a place of local employment for many people and in some cases generations. Sellers R.V. Center has employed 3 generations of Sellers. Jim Sellers (founder), Rod and Pat Sellers (founders) and Sarah Sellers (owner) daughter to Rod and Pat and Granddaughter to Jim. Many long term employees (some as long as 38 years) have had sons and daughters work in the dealership as well. We are fortunate to have helped families camp and have fun through the R.V. lifestyle for over 40 years. We look forward to serving you now and in the future. Sellers R.V. Center proud supporter of generations of family camping fun. RV dealership located in LLoydminster, Saskatchewan. Fifth Wheels, Travel Trailers & more.